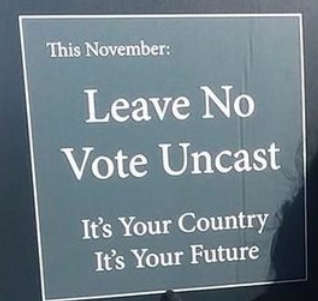 Happy Fall and Midterm Election season. Welcome to our new The Voter newsletter. We hope you enjoy this more concise and more colorful e-newsletter. Please let us know if you have suggestions. Thanks to Candy Purdom for leading this effort. Our Voter Service Team had a busy fall. You’ll find more details in their report. Thanks to Rita Doyle, Joyce Beck, Gail Bernstein, Erica Nelson, Sania Irwin and the many other volunteers. Because we did not host a social event as we typically do at the beginning of the League year, we hope you will attend our League Holiday Party to make up for lost socializing. One of the best aspects of the LWVGE is all of the smart, interesting members. Mark your calendars for December 6 beginning at Ten Thousand Villages for a fundraiser from 4 – 8 pm followed by an open house at Vicki Steevensz’s home at 674 Hillside from 7 – 9 pm. We hope to see you at our not-to-be-missed November 11 Community Meeting with Amanda Vinicky of WTTW. She will share her perspective on the election results beginning at 12:30 pm at the Glen Ellyn Police Station. Bring friends and neighbors. Visit our website for the most current information. Members Spend a Busy Fall Leading to the Midterms! 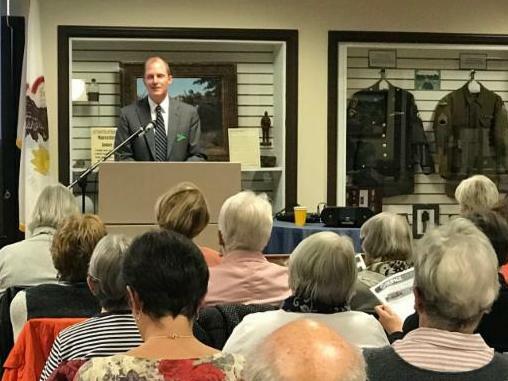 The Glen Ellyn League hosted two candidate forums for candidates running in the November midterm election. 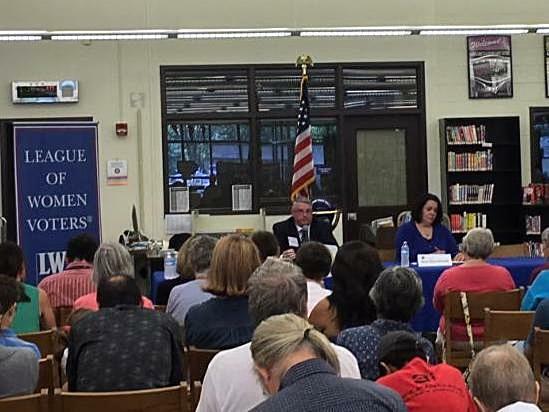 On September 16th, LWVGE hosted a candidate forum for the DuPage County board candidates. On September 27, the DuPage County judges participated in a meet and greet followed by a forum for state senatorial candidates from District 23 and 24 and state representative candidates from District 46 and 48. 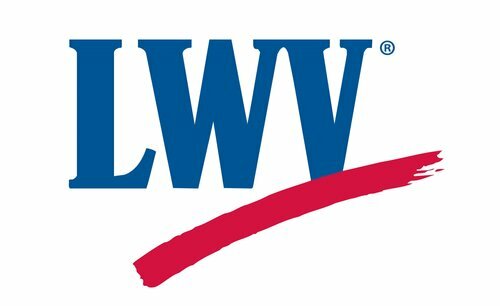 Videotape of the forums are available on the website ( lwvge.org) or on our Facebook page. 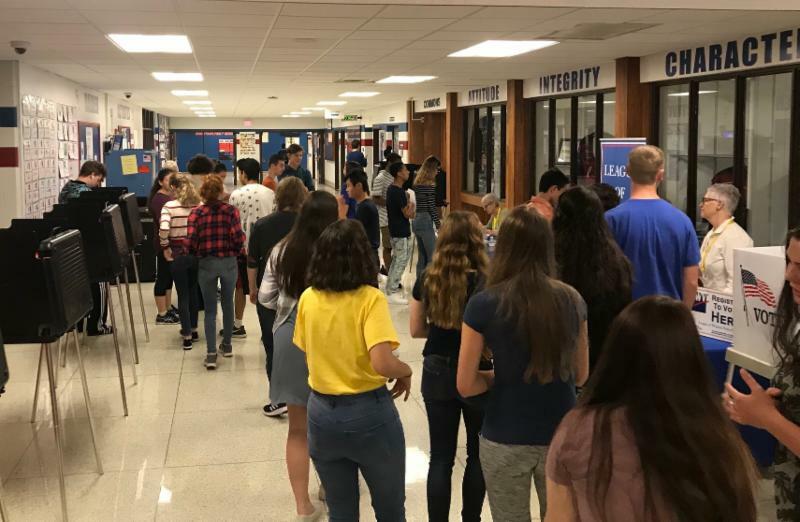 The mock elections, one of the most popular events that League sponsors, occurred on September 18th and 20th with 3,050 students from Glenbard West, South and East participating. Thirty-six volunteers from LWVGE assisted students in learning how the voting process works. The US League encouraged all local Leagues to schedule at least 10 voter registration events in their communities. 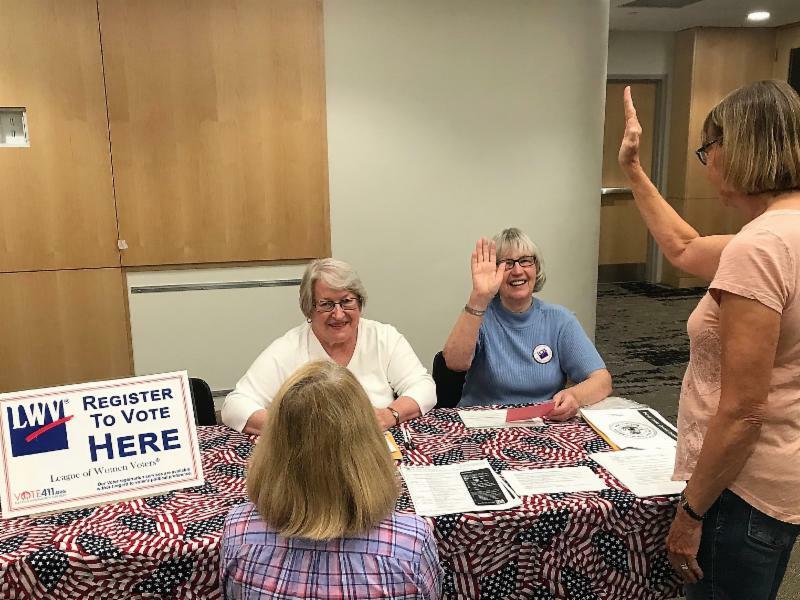 We are happy to say that LWVGE registered over 130 new voters at 13 different voter registration events this fall! On November 4th, the League will partner with Glenbard West students in Stroll to the Polls . Developed by the Naperville League, this program identifies precincts with low voter turnout and sends students out to canvass the neighborhood with information on when and where to vote. We are excited to initiate this program in our community. Don't Miss These Upcoming Programs! 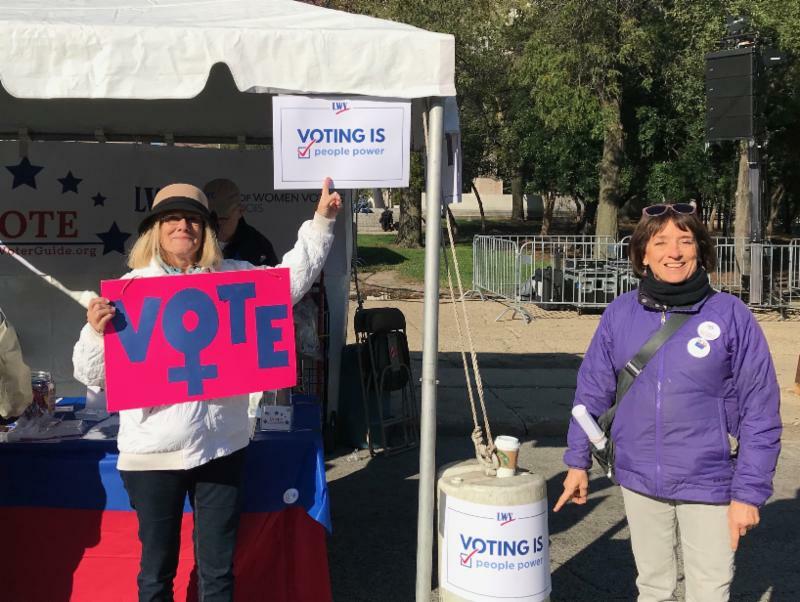 League of Women Voters of Glen Ellyn hosts "Election Debrief"
Get insightful commentary from our very special guest, WTTW's Amanda Vinicky on November 11, 12:30 pm at the Glen Ellyn Police Station, 65 S. Park Avenue. After the midterm elections, learn what the results may mean for our state from Amanda Vinicky, WTTW Correspondent and Segment Host for “Chicago Tonight." 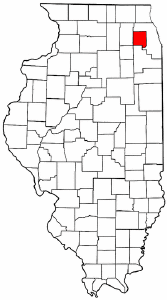 Vinicky's reporting focuses on Illinois government and politics. Her work has been featured on NPR’s “Morning Edition," “All Things Considered” and “The Takeaway,” and she’s garnered top honors from the Illinois Associated Press and the Association of Capital Reporters and Editors. She will also discuss being a female journalist in these times, the proliferation of “fake news” and the responsibility, both by the public and journalists, of vetting reliable news sources. Please spread the word! Find the Vinicky event on our LWVGE Facebook page, then "share" to post it on your personal Facebook page. Please note: police station parking is limited. You are encouraged to use the lot behind 45 S. Park. Open to the Public. Invite friends. 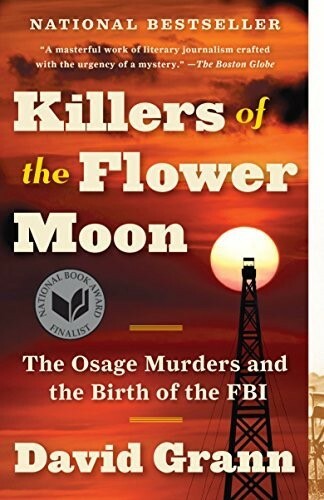 Our next selection is Killers of the Flower Moon: The Osage Murders and the Birth of the FBI by David Gann. November 11: Community Meeting- Election Debrief with guest Amanda Vinicky, WTTW Correspondent. Glen Ellyn Police Station, 12:30 pm. Please visit our website for the most current information.